EcoPlan worked with a larger project team led by Urban Arts Architecture to develop a Master Plan for Britannia Community Services Centre and the large 18-acre site in East Vancouver’s Commercial Drive neighbourhood. EcoPlan led public engagement for the community-guided project, which resulted in a plan for the evolution of the site and its facilities for the next 30 years. 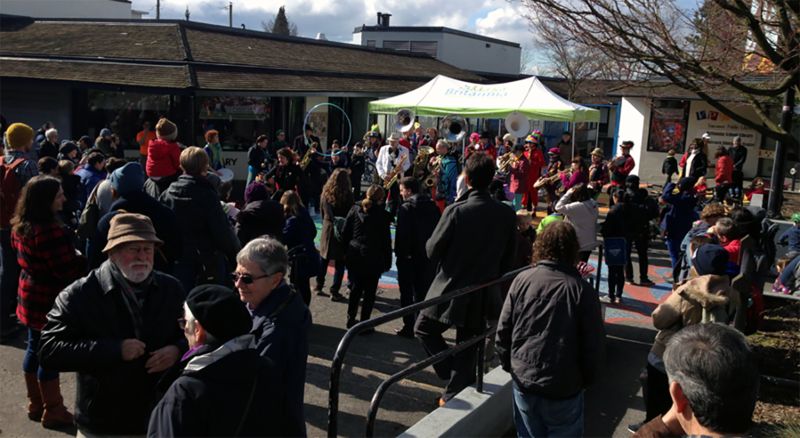 With multiple site partners – City of Vancouver, Vancouver School Board, Vancouver Public Library, Vancouver Park Board, Britannia Community Services Centre—and an estimated 4,000 students (there is an elementary school, high school and alternate school on site), staff, visitors and others using the site on any given weekday, the engagement program was multi-faceted and broad. 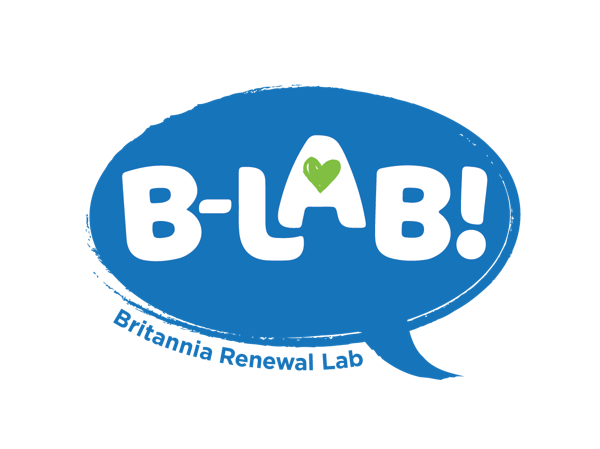 The project included a significant Indigenous engagement component (which was recognized with a 2018 IAP2 Award for Indigenous Engagementfor the City of Vancouver), open houses, workshops and focus groups, a social media program, a speakers’ series, and the establishment of Britannia Renewal LAB (B-LAB), a community living room and project information site at Britannia Centre. 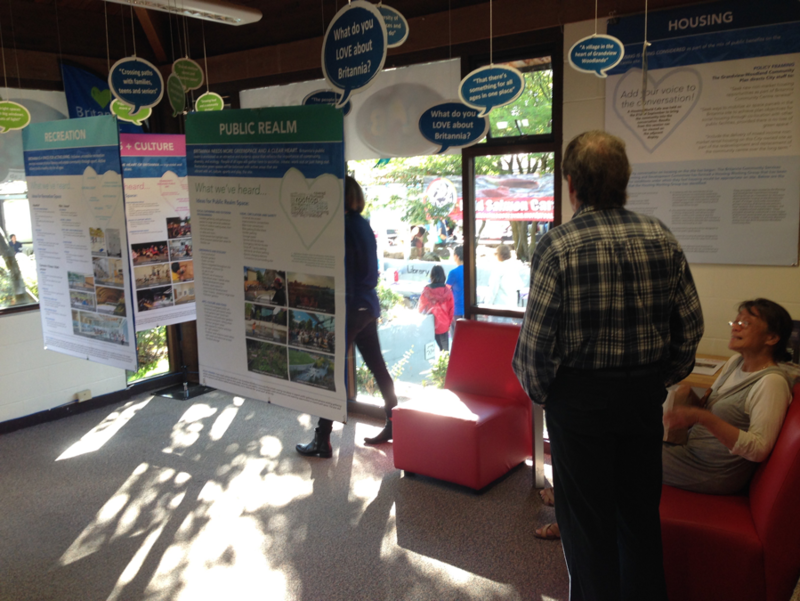 The project also included a special Housing Forum which engaged residents and stakeholders to discuss the project’s significant non-market social housing component. 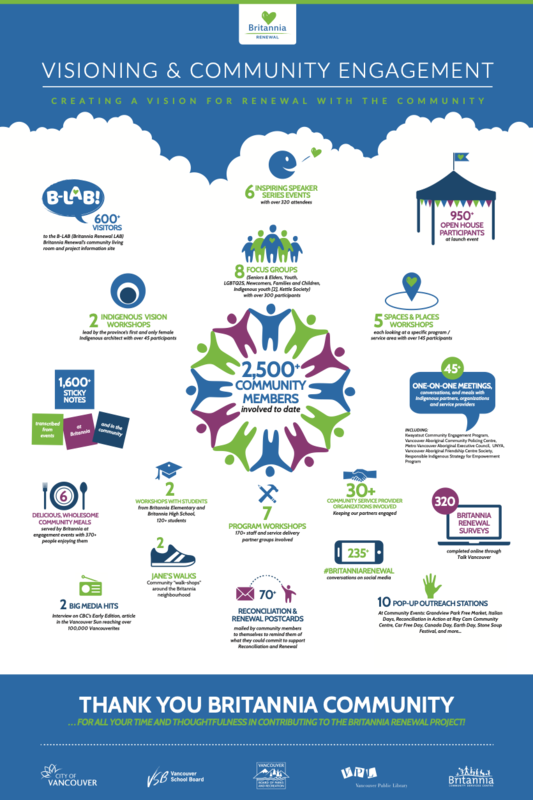 There were over 3,500 interactions with community members in the engagement process.